Manufacturer of a wide range of products which include ptfe coated fasteners, pipe ptfe coatings, ptfe coating, self lubricating coating, rubber expansion bellows and ptfe coated bolts. For our profound customers, we have introduced PTFE Coated Fasteners under our product gamut. Used specifically to cater to the diversified industrial needs, the specified range of products has gained huge appreciation in the market. Customers can purchase these fasteners with the assurance of weather resistance, industrial oil resistance as well as assured durability. 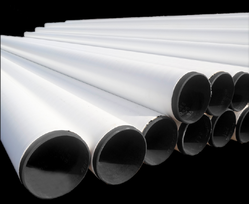 Our company is involved in manufacturing, exporting and supplying Pipe PTFE Coating that is a highly non-reactive and pure thermoplastic fluoropolymer. Prepared by the polymerization of vinylidene difluoride, the proposed coating is highly acclaimed for its enhanced shelf life and accurate composition. We provide the coating in safe packaging. We Neeta Bellows deal in PTFE coating . They are well known as Teflon. PTFE does not have porosity than other coatings . PTFE has excellent low friction properties. PTFE also has non stick properties. PTFE is commonly harder. PTFE coating can be widely used to reduce friction as it's coefficient of friction is low. It is non stick as well as non wetting. It is corrosive resistant to normally all chemicals. Due to all these properties performance of PTFE coatings increases. At the same time it's durability increases giving it a long life. Our company is engaged in the manufacture, export and supply of PTFE Coating that is processed using quality grade PTFE material that is obtained from our reliable vendors. The proposed coating is widely appreciated and accepted in the market for its supreme effectiveness, longer shelf life and chemical resistance. 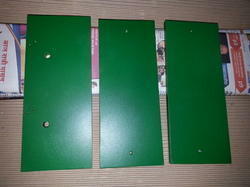 Our clients can acquire it in safe packaging. Our company is engaged in the manufacture, export and supply of PTFE Coating that is processed using quality grade PTFE material that is obtained from our reliable vendors. The proposed coating is widely appreciated and accepted in the market for its supreme effectiveness, longer shelf life and chemical resistance. Our clients can acquire it in safe packaging. Main Raw Material PTFE, Xylan 1070, Xylan 1024, Xylan 1052, Xylan 8840 etc. We are among the eminent names of the industry that involve in manufacturing, exporting and supplying PTFE Coating. Massively applied on shafts, vessels, tank rollers and rods, these coatings are highly used due to the prevention of atmospheric corrosion or corrosion caused by chemicals. Our precious clients can acquire the range at affordable rates. We are among the eminent names of the industry that involve in manufacturing, exporting and supplying Self Lubricating Coating. Massively applied on shafts, vessels, tank rollers and rods, these coatings are highly used due to the prevention of atmospheric corrosion or corrosion caused by chemicals. Our precious clients can acquire the range at affordable rates. Our organization is among the trusted names in the industry for manufacturing and exporting Rubber Expansion Bellows. The offered bellows are made from high-grade materials and are extensively demanded owing to their dimensional accuracy and resistance towards abrasion. The offered bellows are required in electrical and automobile industries for protecting machine parts against operational damages. 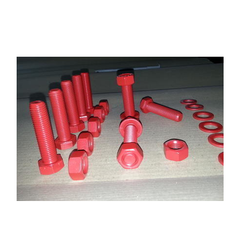 We are considered a renowned name in the business, which manufactures supplies and exports Nuts and Bolts PTFE Coated Bolts.